I must confess. These pies would fail the technical challenge. Pretty much instantly. Being that I didn’t follow the recipe in the slightest and all. I varied the recipe as I didn’t see the point in making meat pies, being a vegetarian I couldn’t eat them, although I am sure Mr M would have eaten both no bother. 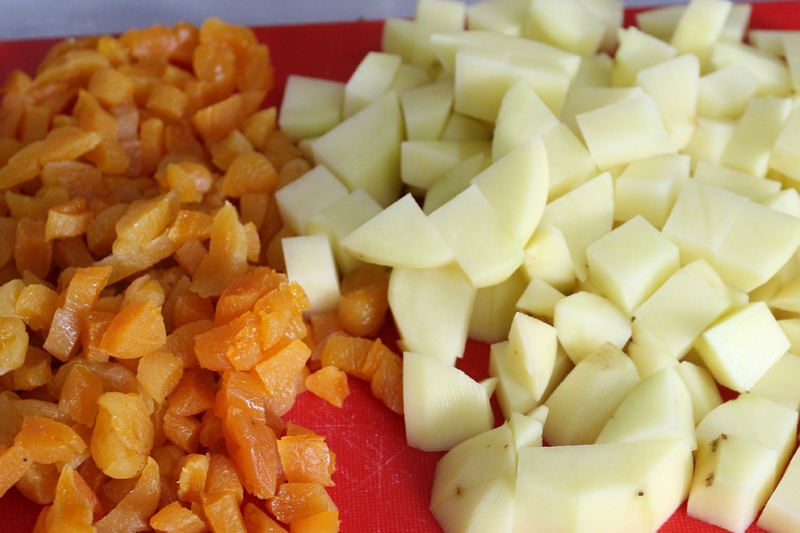 I also substituted vegetable fat for the lard specified in the recipe, and missed out the jelly step entirely. 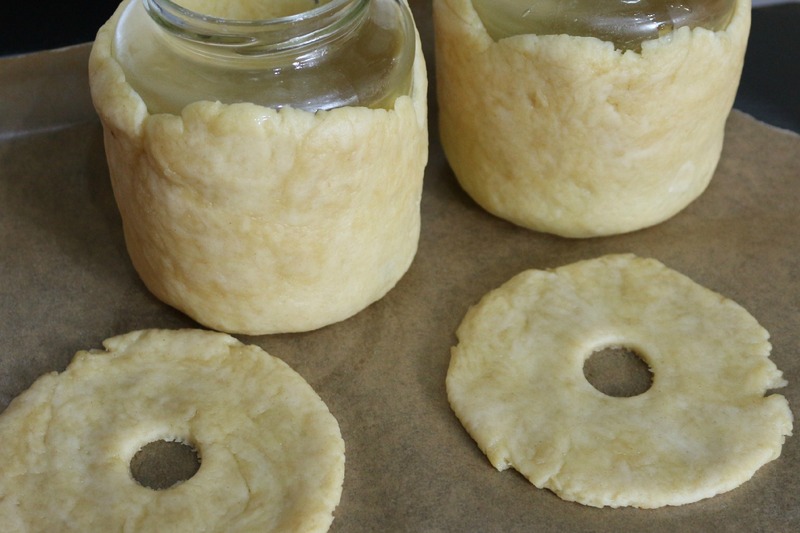 I didn’t have any wooden pie dollies (a cylindrical wooden object with a handle, used to form the pie around), so the suggestion from the book, from Mary Berry herself, is to use jam jars of similar dimensions (13cm diameter, 7.25cm high)…… I’m not sure what jam Mary has… but that’s a pretty large jam jar! The nearest thing I had was more like 10-11cm diameter, and a golden syrup jar. Put both the flours in a mixing bowl and rub in the butter until the mixture looks like fine crumbs (alternatively, you could do this stage in the food processor, just whizz until the two are fully combined). 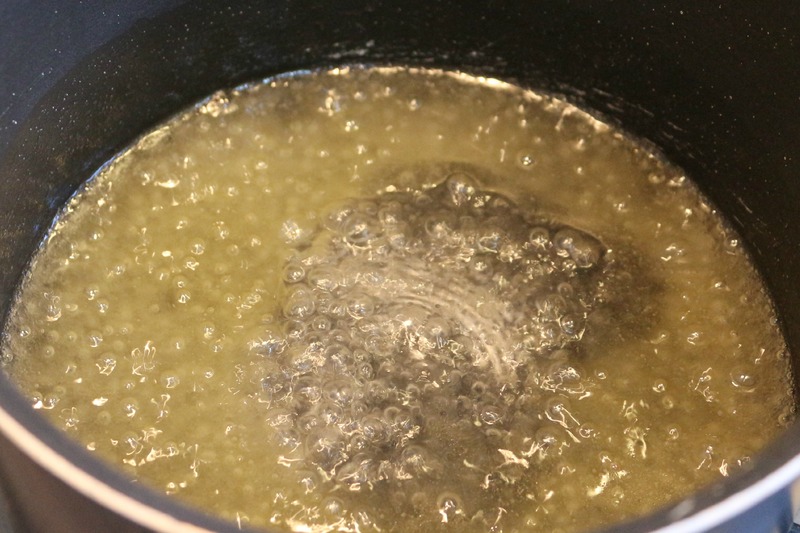 Meanwhile, put the fat, salt, and 100ml boiling water into a pan and heat until the fat has melted. 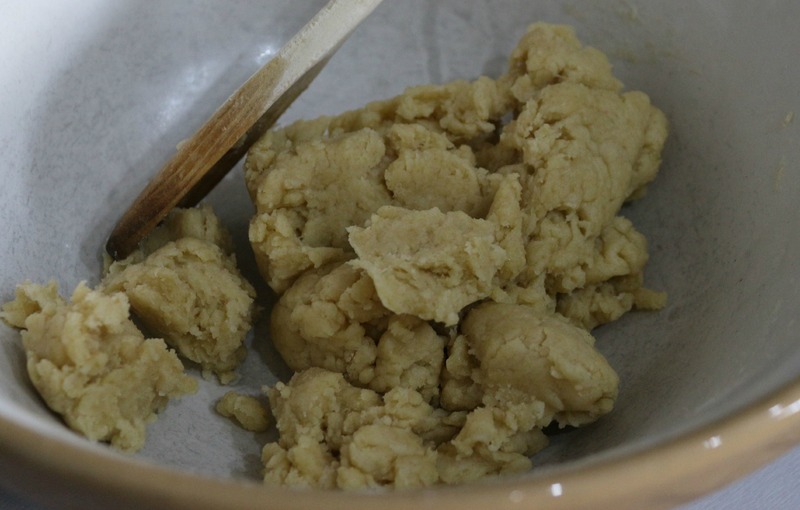 Pour the fat onto the flour mixture, and stir with a wooden spoon until the mixture comes together into a dough. Tip the dough onto a lightly floured worktop and work until it forms a smooth ball. Divide into 2, then reserve a quarter of each to one side (covered in cling film) for the lids. Form the rest of each portion into a ball, then flatten slightly. Set a dolly (or jam jar!) on top of each disc, and mould the (still warm) pastry around the dolly, ensuring the pastry is even on the sides and base. 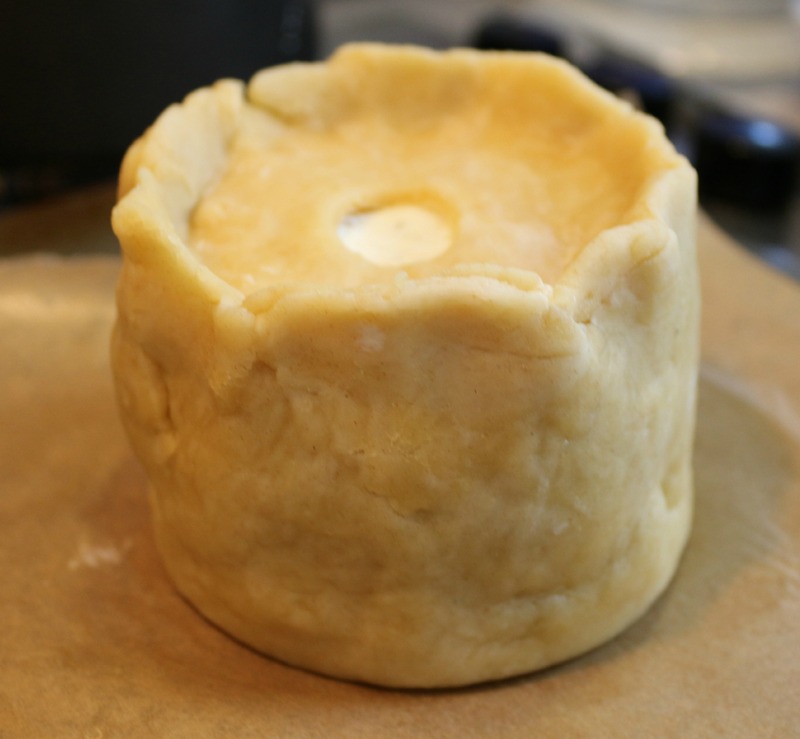 Set each on a lined baking sheet and chill for 20 minutes, or until firm, then take the reserved pastry and roll out to make discs 13cm across (or to fit the size of the pies that have been moulded), make a hole in the centre, then chill along with the cases. 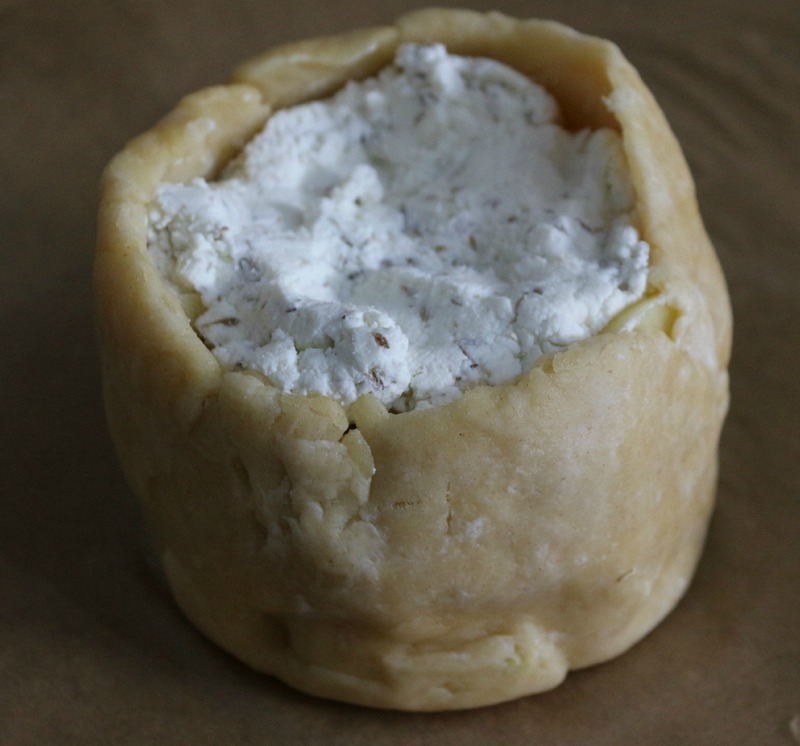 In a large bowl, combine the cheese and dried rosemary until it forms a smooth paste, and assemble the chopped potatoes and apricots (separately), ready to fill the pie cases. Take the pie cases out of the fridge and carefully coax them off their dollies (nb. I just sort of wiggled them in a rotational fashion, my main problem was the base bit, but it eventually just lifted off without major incident. 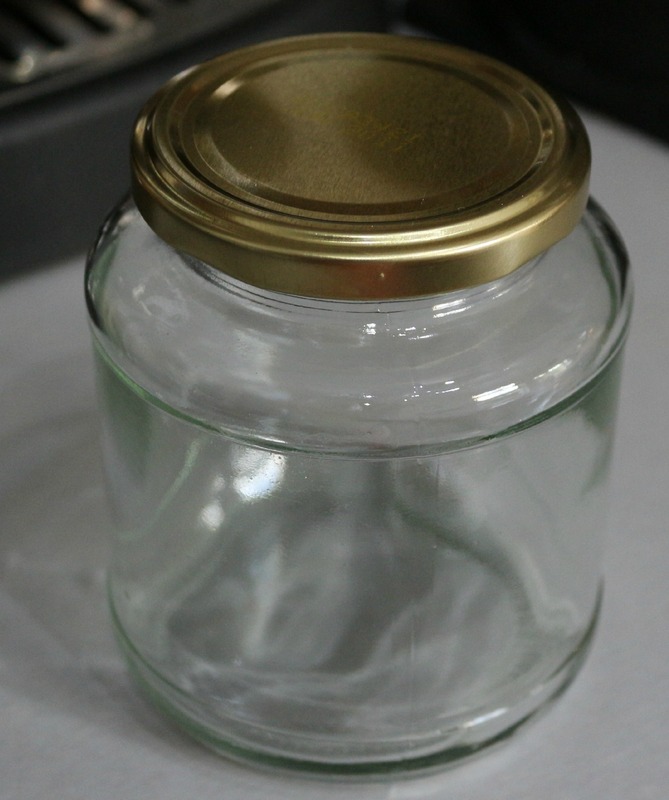 Also I oiled the jar first, then added some warm water just before I took the pastry off, in order to loosen a little… Hope this helps! 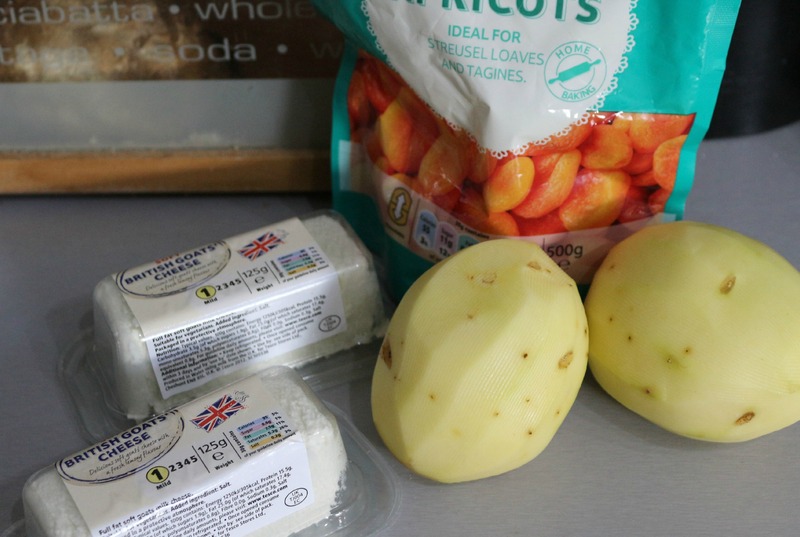 ), then layer up the fillings (I did potato, cheese, apricot, potato, cheese). Set a top on to the top of each case, and crimp the edges with your thumb and forefinger. Set the pies on a lined baking sheet and brush with beaten egg to glaze, then bake for 50-60 minutes until the pastry is crisp and golden. And another submission for the Great British Bake Off Blog Challenge! You can see the first part of the round up here covering the first 4 episodes. Next week’s challenge is Mary Berry’s Queen of Puddings, so maybe that’s next on the list, but I am so up for having a go at Ryan’s Lime Pie. Lush. Wow it looks great! Well done! And I love the filling you invented, I want to try it! 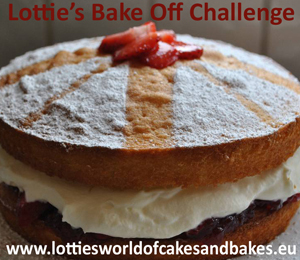 Thank you for another great entry into the Bake Off Challenge! Thanks! I want to know what the challenge is for next week now! I can see why they went over to tins for pies. Yep! ALthough if you are practiced at it I imagine you get better at it. 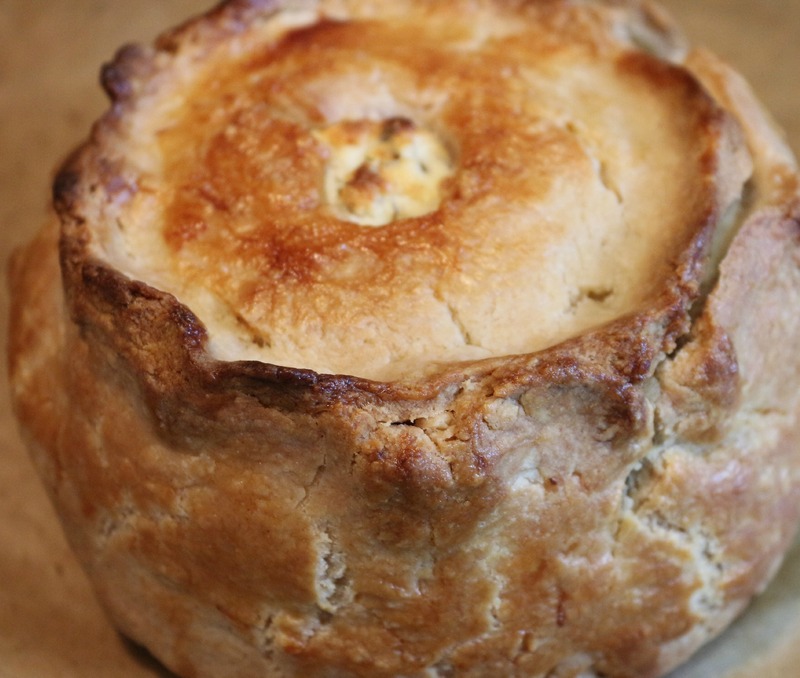 I have more recently made a hot water crust pie in a 4in pie tin, it’s not that much easier to get even, but lot’s easier to bake and remove!